Users use the functionality provided by views, editors and wizard to create and manage resources in the workspace. 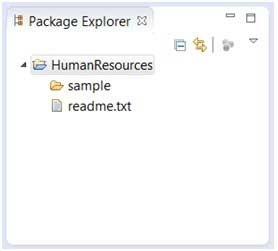 One among the many views that show the content of the workspace is the Project Explorer view. 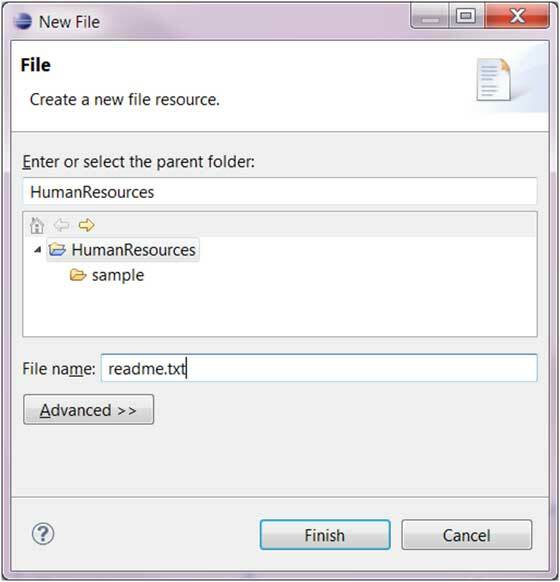 The File Wizard (File → New → File) can be used to create a new file. 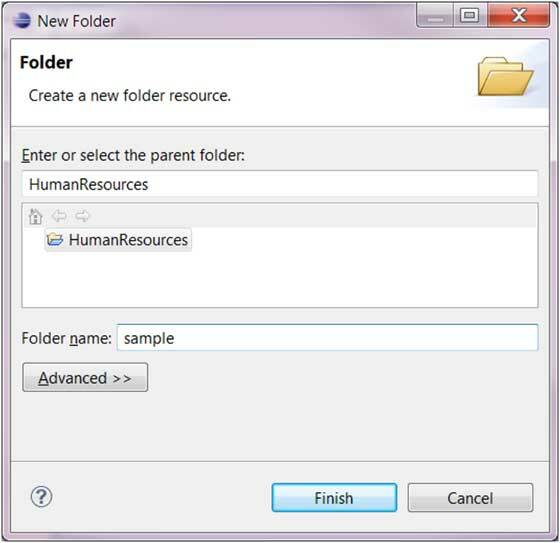 The Folder Wizard (File → New → Folder) can be used to create a new folder.